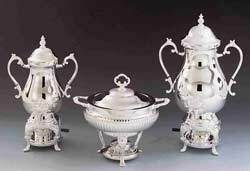 From coffee urns to silverplated chafers, we have what you need for elegant food service. Leeber Limited USA, 115 Pencader Drive, Newark, DE 19702. Tel: 800-533-2372; Fax: 302-733-0998.